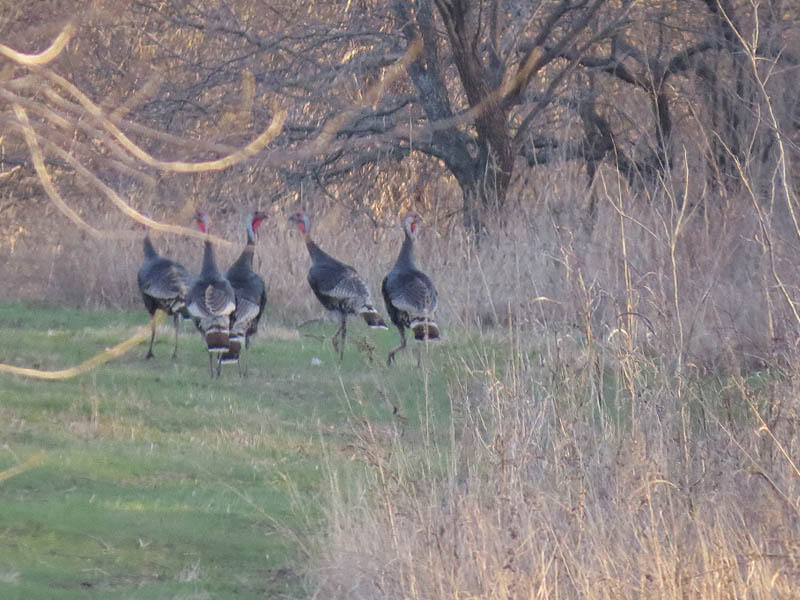 This group of Wild Turkeys was observed near Lewisville Lake. These five are part of a larger group of maybe a dozen birds that split up when I came into view. 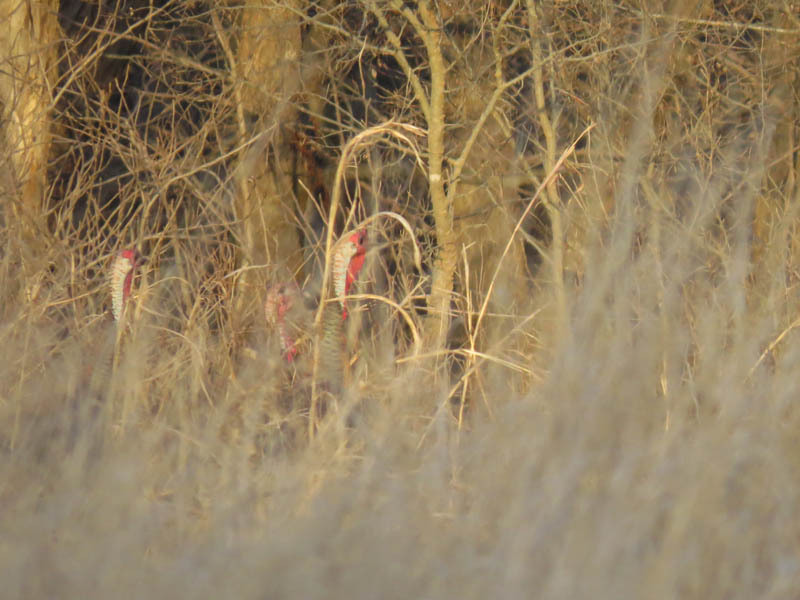 The main congregation quickly disappeared behind a nearby treeline, and these five wasted no time following behind them. I got one last glimpse of the group as they craned their necks to be sure I wasn’t following, just before they ditched into the woods. 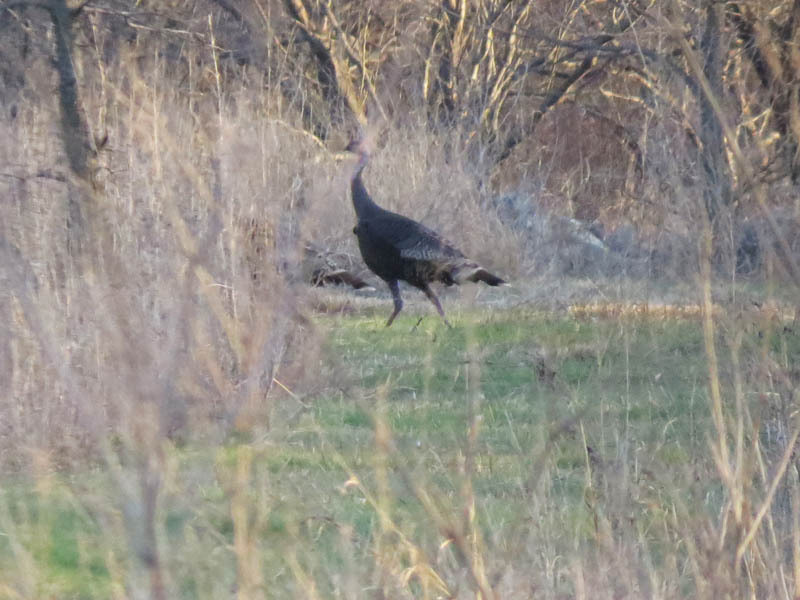 This had been a particularly good day for Wild Turkey observations. 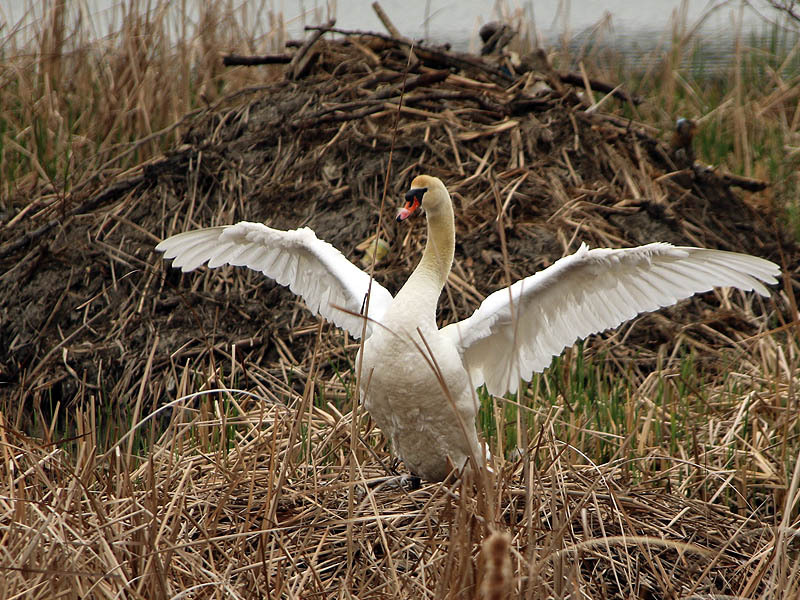 Earlier in the day I had a close encounter as three of the big bird crossed the trail just ahead of me. 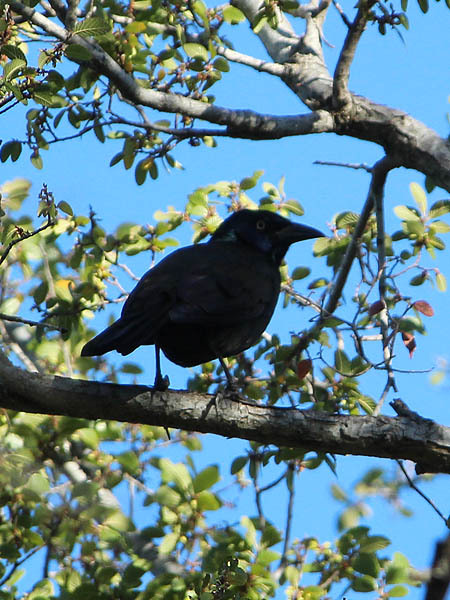 Before that I had what was perhaps the most special sighting of the day when I spotted a Wild Turkey pop out of a Cedar Elm grove and then fly low over my position. Following closely behind him and giving chase on the ground was a loping Coyote. The Coyote was fooling about, and I don’t believe he was taking the pursuit too seriously, but he was so focused on the flushed Turkey that he did not notice me as he ran by. Unfortunately, it was all over too quickly for pictures. Are these all released turkeys or are they now self-reproducing? From what I understand, there was just one release back in 2005. These are all likely descendents of the original release group. 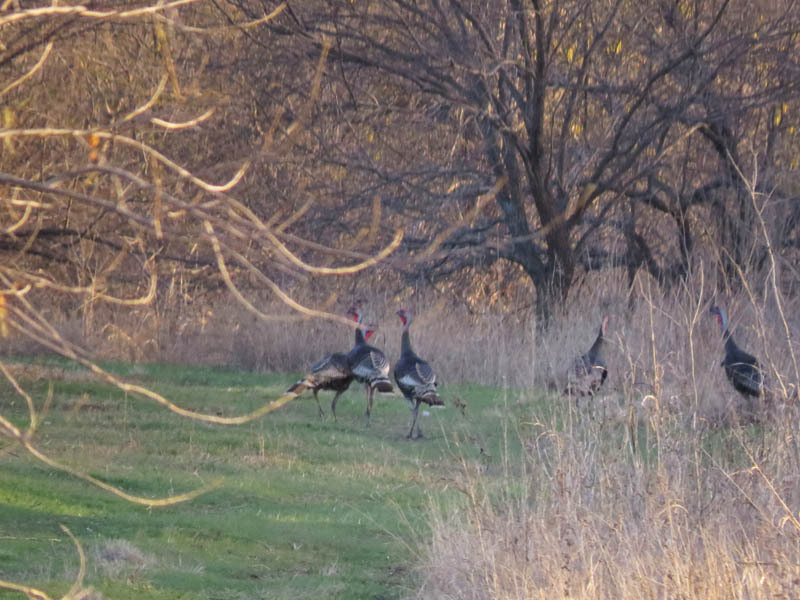 I have photographed a few polts, so the turkeys are definitely reproducing in the field. I saw a wild turkey today on the service road at hwy 635 and Royal. I had no idea that there were turkeys around here.